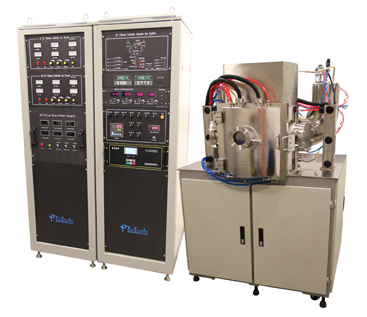 The system can be equipped with 4 sets of DC filtered cathodic vacuum arc DC-FCVA sources for thin film deposition. 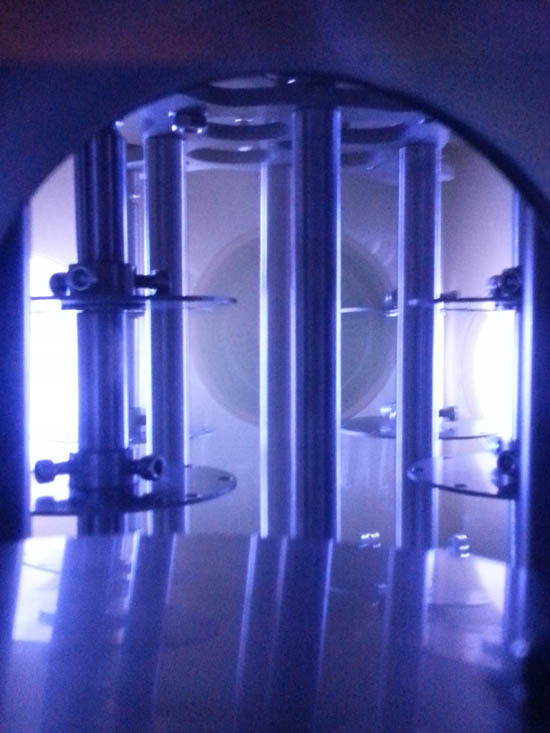 The DC-FCVA sources are used for high ionization ion reactive deposition. Many conductive materials (such as Ti, C, Al, Cu, Ni, Cr, Zr, Mo, Zn, Nb, Ag, Au, Sn, V and their alloys) can be used as cathodes for the arc sources. Arc sources can be flexible operated under different discharge current to control the deposition rate or composition percentage during the deposition process. There also have 4 MFCs to handle 4 different types of gas species for reactive deposition. 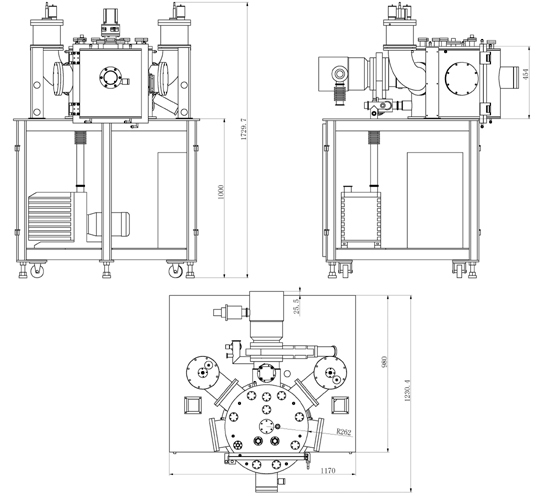 In additions, there are 4 revolution stages that the workpieces can be subjected to satellite rotation to achieve high uniform deposition with the treatment zone upto >/=120mm. The ambient temperature of the chamber can be PID heated above 350 degree C and the workpieces can be Pulse/DC biased to obtain coatings with desirable properties.